Runners and joggers in the area will want to know about the Palmetto 200, which is a 200 mile relay race that runs from April 30th until May 1st. Participants should be in teams of 4-6 and will enjoy scenery only the lowcountry can provide with a path that includes the Francis Marion National Forest, Charleston itself and ending on Folly Beach. 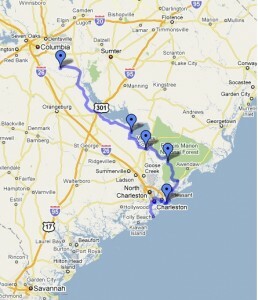 For more information on the Palmetto 200, visit Folly Beach.